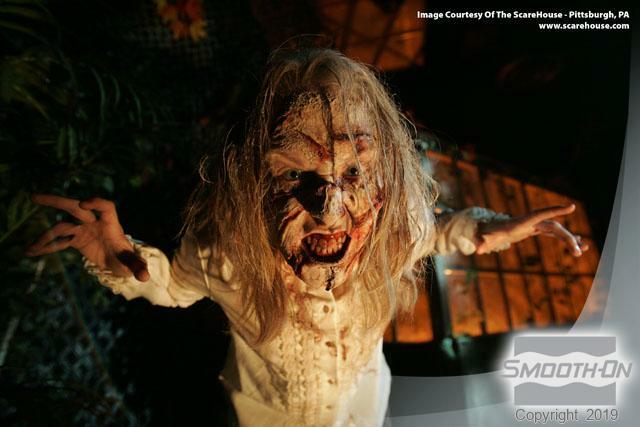 The ScareHouse is Pittsburgh's Ultimate Haunt, and one of the Best Haunted Houses in America! 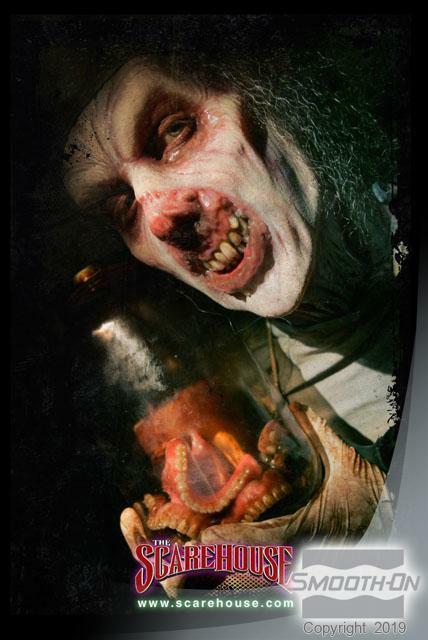 (as voted by the readers and editors of Hauntwold Magazine: The Haunted Attraction Industry's leading publication and website). In order to maintain their reputation as one of the most technologically advanced haunts in the U.S.,The Scarehouse incorporates Smooth-On silicones into their actor's makeup appliances . Dragon Skin is a favorite of makeup artist Don Bumgarner due to it's extreme strength and stretchiness, andSkin Tite silcone adhesive is used to blend the edges of pieces as well as adhering them to the skin. These behind-the-scenes photos reveal some of the over-the-head silicone appliances, and the amazing amount of detail that goes into creating a hyper-realistic creature ready to scare the pants of an unsuspecting customer!